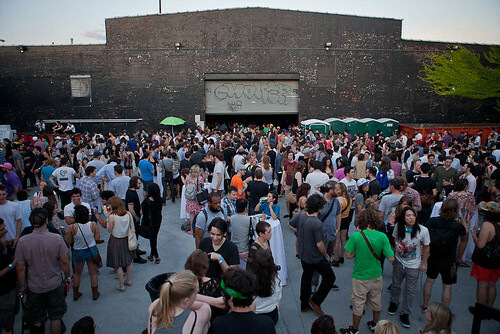 Vans and FYF announced the return of the Vans House Parties to Brooklyn, New York this summer. The first installment of the free concert series will kick off live from the House of Vans (25 Franklin Street) on Wednesday, June 20th with performances by The Rapture and Tanlines, and will feature a Dave P (Making Time/Fixed NYC) DJ Set. The show will be followed by a second Vans House Party on July 12th, with performances by H20, 7 Seconds, and more. There will be four additional Vans House Parties throughout the summer on July 26th, August 2nd, August 16th and August 29th. 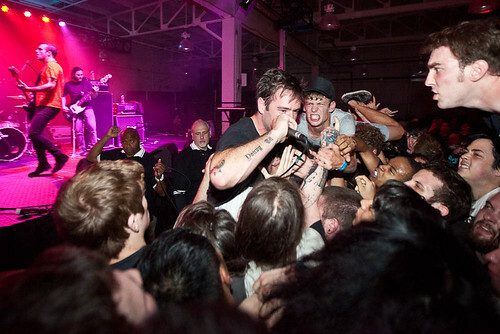 The Vans House Parties, now in their second year, have become a major part of the New York concert landscape. NY Press declared Vans had “upped the game” on the live music options this summer in the city, and The Village Voice called the space “fantastic,” giving props to Vans for enlisting FYF, known for their stellar taste. All shows are free with RSVP, open to the public, all ages, and held at the House of Vans, a 25,000 square foot renovated warehouse in the Greenpoint neighborhood of Brooklyn. Doors for all shows will open at 7pm and early arrival is suggested to ensure entry. The House of Vans, the cultural hub for the original action sports shoe and clothing maker, is located at 25 Franklin Street in the Greenpoint neighborhood of Brooklyn. Along with an indoor concrete bowl and outdoor skate plaza, this window into the world of Vans includes a permanent stage for concerts and enough space to pretty much do anything our imaginations allow. 2012 marks the second year of Vans and FYF’s acclaimed Vans House Parties free summer concert series. FYF, founded in 2003 by Sean Carlson, began as a festival and has since grown into one of the leading concert promotions companies in Southern California. FYF events embody Carlson’s dream of hosting a diverse range of artists from varied genres, while promoting discovery and aiming to keep admission affordable. In addition to the annual FYF Fest, FYF Productions organizes events year round in Southern California and also puts on the Mess with Texas event during SXSW in Austin, TX. For more info, check out www.vans.com/houseparties. For those who can’t attend, visit the same site on the night of the shows for live webcasts.